"How to Get Organized Without Resorting to Arson"
Liz Franklin, aka Miz Liz On Biz, bills herself as a Cubicle Anthropologist. She's your expert on all matters related to small business, including employer/employee communications, getting organized, branding & marketing, and improving the bottom line. And she has an uncanny ability to size up companies' and peoples' strengths and weaknesses quickly and accurately. Liz started her first business at the age of 15, became a paid professional writer in her twenties, a paid professional speaker at 25, and the first Office Organizer in the country in 1979. She has been a comedy writer, speaker and internationally published business writer since Grover Cleveland was a virgin. Liz is also the author of How to Get Organized Without Resorting to Arson, which she wrote to counter the traditional organizing books that push boring stuff like discipline— which never works for rebels like you. Today Liz works with companies large and small to help them increase income, reduce costs, improve relationships, write and publish books and other content, and to entertain them. You can reach Liz at MizLizOnBiz@earthlink.net, at 800-447-3488 or via our contact page. 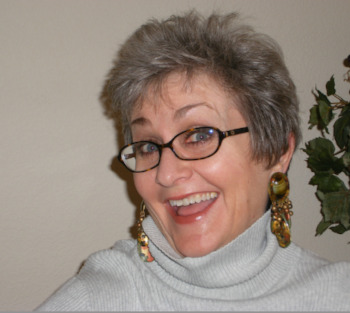 Liz has written for Writer's Digest, the San Francisco Chronicle, USA WEEKEND, the Independent Book Publishers Association, and more; and wrote for the Sacramento Business Journal for simply eons. Liz has spoken for thousands of audiences and has been featured on radio shows worldwide including Oprah.com, The Small Business Advocate and The Dr. Laura Show, and has appeared on MSNBC. Call Liz at 916-899-8285 today!